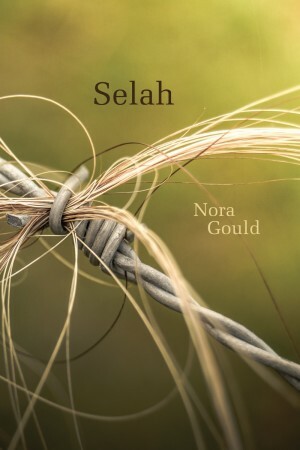 Another two poetry collections that I read this month resonated with one another quite strongly: both deal with the grief of losing a spouse, a parent, a relationship through illness. And while stylistically they are quite different, they hold that space of grief in words. This reminded me of another recent read, Sharon Butala's memoir of loss, Where I Live Now. Both authors are strong farm women who face the loss of their spouse and the lifestyle they'd expected to last, though in different ways. Gould's story is one of living with a husband recently diagnosed with frontotemporal dementia. She writes of her repressed reactions to this diagnosis, maintaining a brave front for everyone in the family; she talks about the tiny details, the clues that have been there for a long time; she shares decisions she had to make about how to live and who to tell. It's heart-rending and yet she also celebrates the strength of relationships and the dignity of individual lives no matter what. There are some beautiful lines in this book, but also clear and honest narrative. This style of plain speaking allows the emotion at its heart to resonate. And I also think that this cover is exquisitely suited to this collection. It says so much in an apparently innocent image that echoes the tangles of dementia, in this farm setting. The impending loss of a mother is interspersed with Chekhov's life and death in this debut collection. 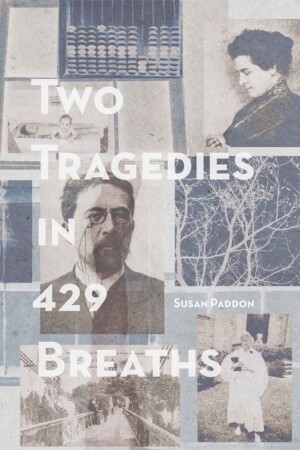 Both Chekhov and Paddon's mother suffer from pulmonary illnesses. When she returns home to help care for her mother, she is also reading Chekhov and this series of poems flickers between the two. There are poems as letters between Chekhov and his mostly absent wife Olga, and between Chekhov and his sister Masha. 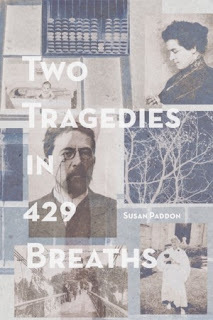 The relationships between them turn on both his brilliance and his constant illness, and Paddon is able to capture a Chekhovian flavour very effectively in her poems. Meanwhile, she reflects on her mother, their past and the unthinkable future without her. Tiny domestic details stand in for much larger meaning, as with Chekhov's storyline. The collection is divided up into monthly sections - April to September, and After. The conclusion is clear; there are two tragedies happening here, and the end is inescapable. But Paddon takes moments from the months spent together and captures them with precise language, with an attention to detail and a knack for just the right turn of phrase. The poems are never sentimental, though some are of course almost unbearably sad. I felt the balance between these two threads was finely tuned, and that this whole collection was very striking. I read it slowly, as I had to put it down sometimes to let something sink in, to take a small breather from what was coming. It felt very much engaged with the present moment in each poem, and so much presence came through each one. And since both of these titles are from Brick Books I'll remind you again that until the end of April, there is a massive sale of pre-2017 titles bought from their website: $10 each. This is a great chance to pick up some of Brick's always excellent publications.